“This is a huge issue… They’re not trash, they’re pets.” – Desiree Bender. Accusations of scandalous behavior have been made against an animal shelter in East Baton Rouge Parish causing turmoil. CAA animal shelter at Baton Rouge embroiled in scandalous accusations. Photo: Bill Feig. 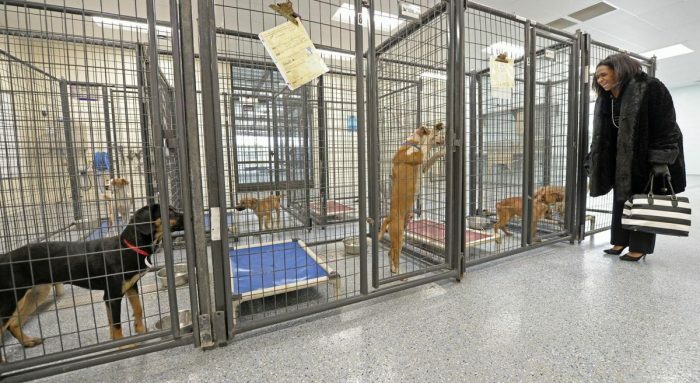 A spokeswoman, Ginger Guttner, for the Louisiana State University School of Veterinary Medicine (LSU) said that the school has received about 25 animal cadavers and 60 live animals from Louisiana shelters. One of those shelters is the Companion Animal Alliance (CAA) shelter in East Baton Rouge Parish. There is uproar, a defamation case and general turmoil about the sending of live animals from the East Baton Rouge shelter to a veterinary school so that training veterinarians could immediately euthanise the animals (within 2 hours), dissect them and then study the dissected animal. This shelter was accepting $40 per animal for transportation costs and incidental expenses at the time. They stopped this and have apparently stopped providing LSU with animals. A former CAA Executive Director, Desiree Bender, became a whistleblower and she blew her whistle on Facebook. She created a page headed, “Companion Animal Alliance: Shocking Truth Exposed”. On this page she alleges that the CAA shelter in East Baton Rouge Parish was sending animals to the veterinary school and covering up the practice by cooking the books. She alleges that one of the staff members at the shelter (a person named Pumilia) was filling out forms to place live animals on the list to be sent to LSU but making it look as if they were sent to a rescue group. The purpose was to make the numbers look better to the public and to ensure that financial grants were still received. In other words, Desiree Bender has made serious allegations against this person and one other it seems and in doing so she has also accused the shelter itself and management. Staff at the shelter say that Bender has depicted them as cold, heartless animal killers. Two members of staff, Hicks and Pumilia have commenced defamation proceedings in a local court for unspecified damages. They are that incensed by the accusations. However, if they are proved to be true the litigation will fail and more might come out. To compound the matter, there are allegations against Bender for stealing items from the shelter when she was let go after quite a short stay in post. She was hired in May 2018 and fired in October the Hicks-Pumilia lawsuit states. The Advocate website reports on this matter and their article is the source for this article. They say that Jillian Sergio has been hired by CAA as a new Executive Director. Sergio was formally the CAA’s outreach coordinator and had been managing a rescue operation in Colorado Springs, Colorado until appointed. Comment: How commonplace is this? I’d expect it to happen quite a lot. If anyone can add to the page with more detail please do so in a comment. It would be most welcome. You know, cats and dogs at shelters are an ‘asset’ in strictly commercial terms, even when they are dead. Commercially-minded shelter directors must be aware of this. Rendering down carcasses for pet food? P.S. CAA have said that their kill rate has improved (i.e. decreased) dramatically over the preceding 9 years from 80% to 28% in 2018. P.P.S. One question I have is how did this behaviour impact the lives of the animals at the shelter? Did it prevent staff from finding homes for these animals? You know, there might be a choice between the vet school and an adopter sometimes. A choice between dying and living. I find the behaviour unethical but I will defer to people who can successfully argue that it isn’t. This entry was posted in Cat shelters and tagged animal shelter, bad animal shelters, defamation, law, USA veterinarians, veterinarians by Michael Broad. Bookmark the permalink.